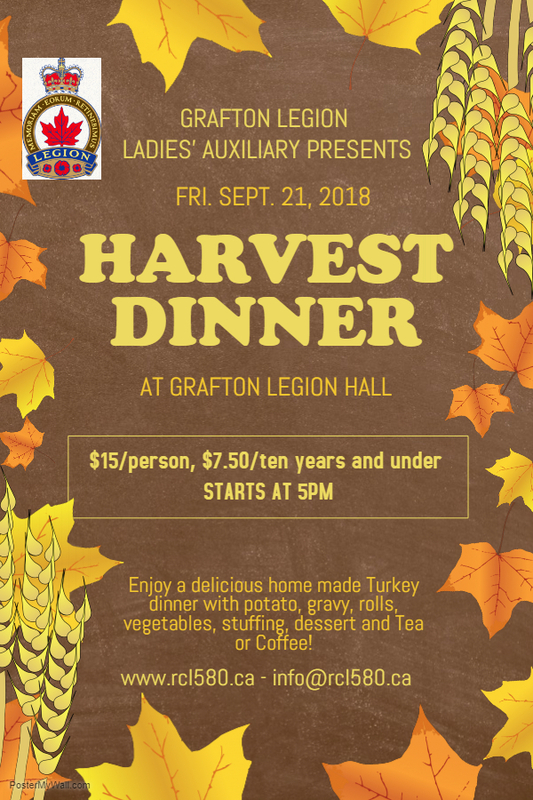 Grafton Legion Ladies’ Auxiliary presents our annual Harvest Dinner on Friday September 21, 2018 at 5pm. $15/person or $7.50 for children 10 years and under. Enjoy a delicious home made Turkey dinner with potato, gravy, rolls, vegetables, stuffing, dessert and Tea/Coffee!